Even though fines are deductible and will lower an athlete’s taxable income, Lynch’s fines by themselves fall under the 2% threshold and won’t provide him any tax benefit. 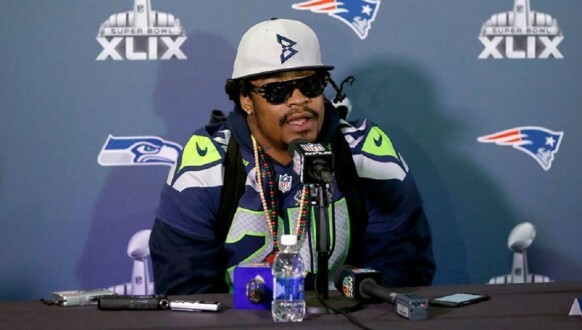 This past week Seattle Seahawk running back, Marshawn Lynch was informed that the NFL wouldn’t fine him for wearing a hat with his “Beast Mode’ logo during his Super Bowl press conference. Although Lynch was not fined in this instance or for his behavior during his Super Bowl press conferences, fines are nothing new to Lynch. In November, Lynch was fined $100,000 for not speaking with the media and three weeks ago he was fined an additional $20,000 for grabbing his crotch in the NFC Championship Game. As a professional athlete, Marshawn Lynch is a popular employee in a multibillion dollar sports industry. Playing sports is his business, and he is entitled to certain tax deductions for business expenses. However, the kinds of expenses that are tax deductible business expenses and the circumstances under which they are deductible are just two issues that the IRS has provided little guidance for professional athletes. My co-author Kari Smoker and I specifically address business expenses for professional athletes in our latest article “My Tax Accountant Says I can Deduct My Hot Tub. He’s the Expert—Should I Question Him?” which is scheduled to appear in the spring edition of the Marquette Sports Law Review. Using the guidelines provided within this article I’ll review whether Lynch’s fines are deductible as a business related expense and if so what benefit Lynch would receive from these deductions. Business related expenses for athletes are deductible under the Internal Revenue Code [IRC] §162 which states that deductions are allowed for all “ordinary and necessary expenses paid or incurred during the taxable year in carrying on any trade or business.” The IRS further expands on ordinary and necessary in publication 334 chapter 8 as ‘ordinary’ being “common and accepted” while ‘necessary’ as being “helpful and appropriate.” For professional athletes, playing professional sports is a business. They are thus entitled to deduct the expenses they incur that are “ordinary” and “necessary” in carrying out the business of playing professional sports. Therefore, in regards to Lynch’s fines the question that needs to be answered is: are league fines paid by a professional athlete a deductible business expense? In Commissioners Goodell’s address to the media the Friday before the Super Bowl he addressed the Lynch situation and stated “… there are a lot of things we don’t like to do in our jobs, but it comes with the territory and it comes with the privilege of playing in the Super Bowl.” Lynch’s fines received in the NFC Championship and for his failure to speak with the media during the season should be considerable a deductible business expense as they should be considered both ‘common’ and ‘frequent’. In Lynch’s case when a fine is determined to be a business expense – what are the practical advantages in deducting them? Although Lynch will be able to claim the league fines as a tax deduction, all business related expenses are claimed under job and other miscellaneous expense on an individual’s Schedule A and are subject to a 2% limitation. In Lynch’s case with a current salary (along with reporting bonus) of $6.5 million and $7 million next season the 2% limitation would mean he could only deduct business related expenses that exceeded $130,000 in 2014 $140,000 in 2015. Since Lynch’s fines by themselves do not exceed this amount he would receive no tax benefit from being fined. Take into consideration that Lynch would more than likely have other business related expenses such as conditioning expenses or agent fees that would exceed the 2% limitation, Lynch’s salary exceeds $152,525 and therefore his deduction would be limited once again. Therefore the end results are not as clear cut as some would make you think. Clearly, all professional athletes would benefit from proper tax guidance—especially when it comes to complying with federal and state tax regulations. For information about income tax deductions and key tax issues for professional athletes, please contact me at 585-705-3405.